This is a very long page. Please spend time searching all the way down. I tend to put recent and updated details at the top. The details are in no particular order. It's all free for your benefit. It is not paid-for advertising. If you want your details included please write your own, true, details and don't just copy someone else's details. Duplicate scam tends to get deleted ! Kamu Kamu Plaza, Entebbe Road. Field engineer VSAT installer. 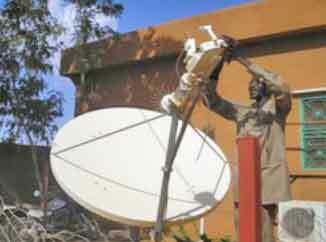 Satellite operator integrator. Fixed and motorized Antenna. C Band & Ku Band. O3b technologies and tracking antennas. 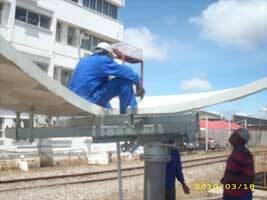 Repair of Radio telecommunication systems (VSAT-FH-HUF). and installation of computer networks (patch-switch-plug panels). Francis Zhakata - Zimbabwe, Mozambique, Botswana and Namibia. Project Manager. Company name: "CACTUS GREEN" : Satellite Internet service provider and installations. Francis is a Certified VSAT Consultant trained by Global VSAT Forum (GVF) organisation and based in Zimbabwe, but he and his team are willing to travel as needed.. He is versed in the following: C-Band, Ku-Band Ka-Band at all sizes using iDirect, Gilat, Comtech, Hughes, Schumberger, Linkstar and Paradise. He also offers a full range of communication services and products such as Networking solutions incorporating WiFi, WIMAX and Cable. Services for Business, SOHO, CAFES and WIRELESS ISPs. His Visat Wireless team is available 24hrs for work anywhere. 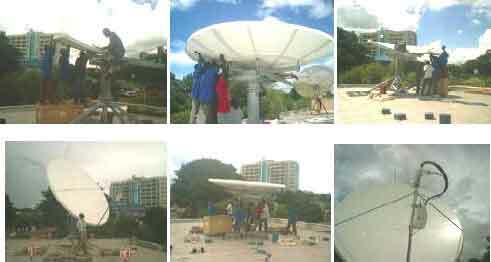 More details vsat-installer and installation pictures. 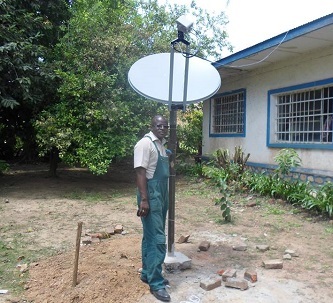 Planning and Installation of VSATs in all parts of the Democratic Republic of Congo. Installation and setting up Linux and Windows Servers: Firewalls, DHCP, DNS, WEB, FTP and File servers. Evans is a Certified VSAT Engineer and Cisco Certified. Based in Kenya but with 5 years installation experience in also other countries including Sudan, Uganda, Rwanda, Burundi, Tanzania, Ethiopia, Morroco, Mouritenia, DRC Congo, Sanaa, Zambia, Malawi ,Chad, Seychelles and Eritrea. Experience on C-band and Ku-band with antenna sizes 1.2m, 1.8m, 2.4m, 3.7m and 7.3m dia. Modems worked on include Dialway, Skyedge11 & 360 (Gilat products), DVB, iDirect, Paradise, Comtech, Hughes HX50, SpaceBridge, Radyne and Inmarsat BGAN satellite modem. He also does Wi-Fi and WiMax antenna installation, Cabling, Networking, Computer maintenance and Cisco router configuration. Versatile Telecommunications Engineer with more than 7 years of working experience in Installation, design, training, customer/pre-sales support and project management. Core knowledge in Satellite Communications (VSAT, Monitoring, Coordination, optimization), Mobile Communications , Power Systems, Networking. Vast experience working with Huawei, Ericsson, VIASAT, iDirect, Comtech, Newtec, Cambridge Broadband Networks, Cisco, Ubiquiti and Microsoft Equipment Solutions. 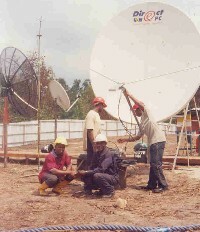 GVF Certified Advanced Satcom Professional and Examiner. 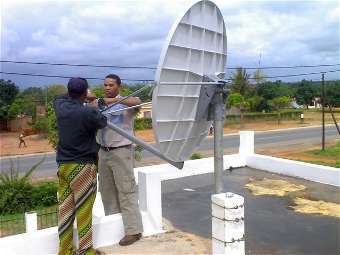 Currently working with REGIONAL AFRICAN SATELLITE COMMUNICATION ORGANISATION (RASCOMSTAR) as Field Operations Engineer. 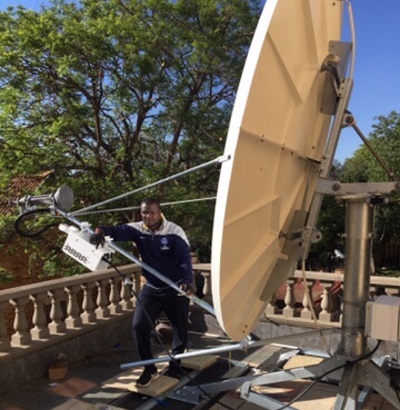 VSAT Installers covering almost every country in sub-Saharan Africa; Cameroon, Equatorial Guinea, Chad, Gabon, Central Africa Republic, Congo, Nigeria, Mali, Niger, Ethiopia. This is a team of well qualified satcom staff with a wide range of GVF professional certifications: GVF 561, 562E, 521, 520 and 510. Their competences include theory, design, the operation of many technologies, site survey, troubleshooting and teleport operation. The have a wide portfolio of executed projects in many Africa countries. Any kind of dish can be installed. I am available with spectrum analyzer. I am in the IT industry for 18 years now I do Ku antenna C-Band VSAT, BUC, LNB installations, alignment, config and maintenance, Computer maintenance/Repairs installations and Networking. I am a Microsoft certified Engineer, Prince2 certified MP, A degree in Computer engineering. And lots of installation training certificates. I started in 1998 back in London later moved to Nigeria, I recently relocated to Johannesburg, South Africa where am based now. 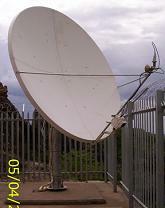 C band circular polarisation VSAT dish shown. 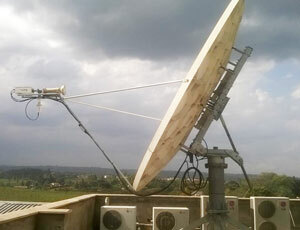 Estream East Africa Ltd is a telecommunication company based in Nairobi with extensive experience in installation of VSAT terminals in East and Central Africa. We have worked in Sudan, Somalia, Chad, DRC, Somalia, Kenya, Tanzania and Uganda. 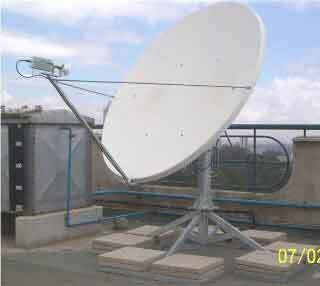 We have varied experience in installation of 1.2m dishes to 9.3m dishes. We also have experience in installation of VHF systems, fiber optics, VOIP systems and network design. I am a young Cameroonian BSc., graduated in Networks and Telecommunications. I am GVF 510ed2, 520, 521, 561 and 562e certified as well as CCNA and MTCNA certified and project management accredited. 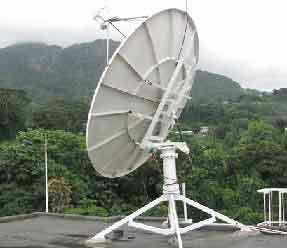 I have experienced many VSAT projects (dealer customer interface, licences acquisitions, equipments deliveries, complete installations and maintenance of antennas 1.2, 2.4, 3.7, 4.5 meters and more) for NGO, Embassies and big companies in many countries in Africa (Cameroon, Chad, CAR, Congo, Niger, Mali, Burkina Faso, Ivory Coast, Senegal, Benin) as well as installed LAN, WLAN networks with all indoor units equipments (Routers, switches, UPS, servers etc...) configurations. - IPricot IPr-S500,S600 and Pentaoffice DVBs. - Radio Frequency Interference Tests (RFI). - Cisco Routers and Switches. - Firewalls: SELinux, Astaro, Sonicwall. - Network Servers: DHCP, DNS, WEB, FTP and File servers (Linux, Windows). - Network Troubleshooting (Wireless, Wired and VSAT). 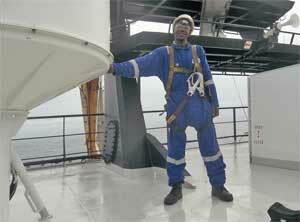 He, plus his team of engineers and technicians, has installed VSAT hubs and well as remote customer VSAT terminals. 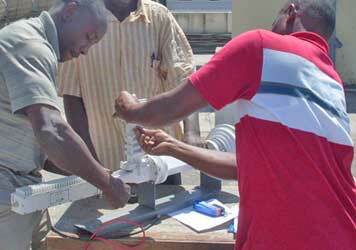 His team has experience of installation and maintenance on all kinds of work on satellite, optical fibre and wireless microwave systems. He has worked with most of the regulatory authorities in southern Africa and can organise licensing. The Telecommunications Regulatory Authority of Southern Africa is located in Gaborone, Botswana, which makes it easy to organise licences with all SADC countries. Skills: VSAT installations and PMI on SLA or call out. Teleport RF systems, antenna control units for tracking antennas, SNG, Maritime., LAN/WAN, WiFi, Fibre. I am a certified VSAT installer with GVF 510, 520 and 521 certifications from Global VSAT forum. Based in Kigali the capital of Rwanda, I comfortably cover Rwanda, Burundi and DRC-Bukavu & Goma, needless to say any other region. Contact us for all your VSAT related services and logistics. Networks and Telecommunications Engineer from Goma, DRC - currently ICT Consultant at MiCT Solutions ( cd.mictsolutions.com ) partner of Wingo.net ( www.wingo.net ). He has been a VSAT installer since 2015 for 1.2m and 1.8m and 2.4m diameter antennas using the iDirect Modems (X1 to X7), SkyEdge and Newtech. He also deploy WiMAX systems, Network cabling, setting up LAN, WAN and VPN for enterprise with an experience using Mikrotik routers, NETGEAR Firewall, TP-Link, Linksys, Huawei, Cisco, and so on. 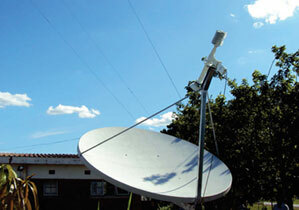 Infocraft installs Vsat in Zambia, Zimbabwe, Malawi, Botswana, Mozambique. Team of qualified and experienced installers 1.2 to 3.8m C, Ku and Ka bands. We also do RF work for mobile networks experience in ZTE, Huawei and Ericsson. Patrick Mpongo lives in DR Congo (Goma) working with Wingo.net International www.wingo.net as a VSAT installer and VSAT Manager also with M&ICT Solutions cd.mictsolutions.com as COO. Willing to travel anywhere. He is GVF Certified VSAT installation Engineer with over 10 years of experience on C-band and Ku-band with antenna sizes 1.2m, 1.8m, 2.4m, 3.7m,3.8m and 4.9m diameter. Modems worked on include Linkstar, SkyedgeII (Gilat products), iDirect, Comtech, Hughes HX50, Newtec MDM3100 and Inmarsat BGAN satellite modem. VSAT; Experienced in iDirect (KU &KA Band), Comtech, Hughes(KU & KA Band) e.t.c Also inclusive to this is extensive technical expertise in Sat phones and BGANS(Thuraya, Inmarsat and Iridium). Have been a team lead for over 5 years handling projects in East and Central Africa. Projects ranging from consultancy, Design, Deployment and Support in the field of service provider core and access network. 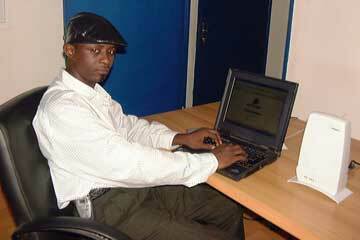 I am a Cameroonian with more than 14 years in telecommunication field. 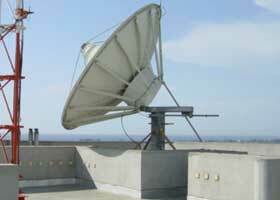 I have perfect knowledge in: Vsat installation, Vsat maintenance, Site Survey, Troubleshooting Vsat systems. Micro Wave, Broadcasting, Radio and TV Station, DVB-T2 /S2 /C System. I am a certified VSAT installer with GVF 510, 520, 521 certifications from Global VSAT forum. I'm also Marine VSAT certified with 561, 562E and O3B from GVF. Based in Yaound? in Cameroon, I can help in any country in Africa. Contact me for all your VSAT related services and logistics. Experienced senior VSAT engineer and installer since 2004. Based in Luanda, but willing to travel anywhere. Project manager, including oil/gas offshore rigs, platforms, Inmarsat and WiMax. Telecom Engineer and VSAT installer for more than 12 years with extensive experience on modems iDirect, Hughes, Comtech and Linkstar. Antenna installations: 1.2m to 4.5m. 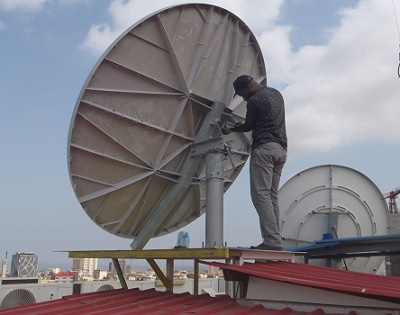 Jerry Mensah is a VSAT installer from Accra, Ghana, with experience of installing antennas from 1.2 meters to 4.5 meters from Prodlin, Channel Master and Andrew. Including Geo orbit and Inclined orbit. He has worked with Sky Vision, Gilat, Sat ADSL and Verizon and can get lock on any modem giving to me. 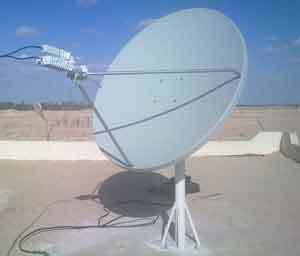 have installed and commissioned several 2.4 and 3.8 meter VSAT with iDirect and Comtech system. The team includes Cisco and CompTIA Certified Engineers. Site survey work includes a 3D modelling of the environment before the installation begins, for interested parties. Fluent English speakers are available for related support. Transceiver Amplifier - pylon - Modem and studio equipment panel. Berhanu Mamuye, Addis Ababa, Ethiopia. 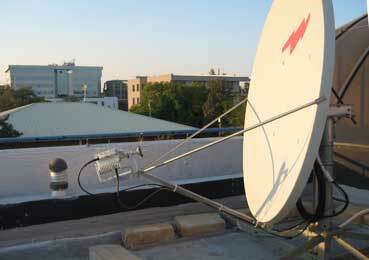 VSAT installer Addis Ababa Ethiopia and any corner of the world. We are working in the communication field, especially on broad band satellite communication for more than 13 years. 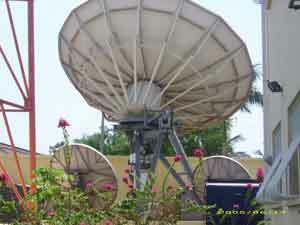 We do have extensive experience in satellite communication from maintenance technical staff to project director in Satellite Broadband Network (which provides and supports Data connectivity, video conferencing, IP Telephony, and Internet services with all integrated in one, based on satellite backbone), on the areas of high-level satellite and terrestrial based broadband communication systems. We are trying to put our contribution to impact the satellite industry in a positive way. We are committed to add values for the satellite communication industries in terms of reliability of the VSAT link, good VSAT installation in professional way . Our teams are equipped with professional tools, spectrum analyzer, and Digital multi meter, Cable meter, power meter, grounding measuring tools, volte meter, and Voltage Polarity identifier. RFI detection tools, professional's connectors, water proofing tape. 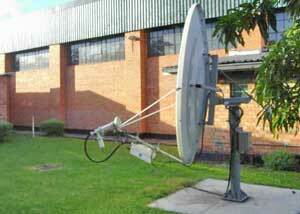 I have worked on various platforms of VSAT, data, internet and VoIP with a lot of ISPs. I have done installations and after sales service in Southern Africa. Having been exposed to C-Band, Ku-Band and Ka Band, I have vast experience in working with any type of VSAT equipment, over the years. I have a sound telecommunication background which has proven to be useful with the integration of Voice over IP. I am an Avanti certified installer. Arc Ralph is a GVF Certified Examiner, Ubiquiti Certified Trainer and a Mikrotik Certified Consultant. 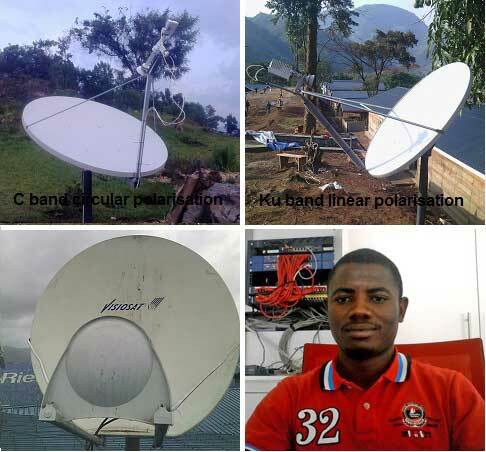 An Engineer with years of experience in C-band, KA & Ku-band with antenna sizes 1.2m, 1.8m, 2.4m VSAT Services on Gilat (Intelsat 14,1R, Yamal 402, EXPRESS 3A, Africa Sat1A), Sky Vision(NSS10), Poulsat (NSS10, Telstar11), Geolink (Arabsat 5C), Ultisat (Eutelsat3B), Orange (Intelsat 905), Sonema (Arabsat 5A) & New Skies (NSS7). He also configures Bandwidth management/Firewalls using Mikrotik/Cyberoam and Deployment of Point to Point/ Point to Multipoint wireless links. Idrissa Seyni Beydou, Niamey, Niger. 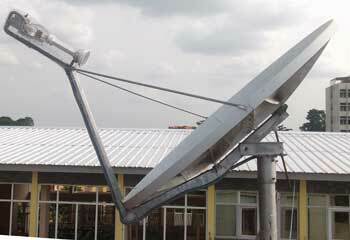 VSAT installation, site survey, commissioning and equipment configuration, DVB/SCPC. I have an experience on C-band and Ku-band beams of the different satellites. 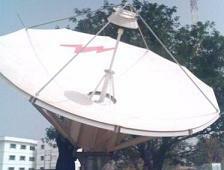 Have been doing VSAT installations since 2002, all over my country and even outside my country like in: Ghana and Central Africa Republica. 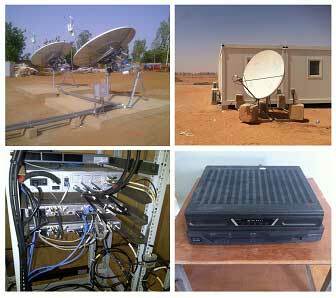 I have deployed and installed VSAT equipments for private companies, multinationals and government bodies in Niger. I also do Wi-Fi, Redline, AS 4000 AIRSPAN and WiMax antenna installation. I look forward to being one of your installers. Experienced telecom engineer; I've been involved in satellite communication and many more IT project for more than 10 years. GVF advanced installer, maritime VSAT installer having a valid BOSIET and CCNP Voice certified. I'm available to handle any project you might have in Benin or the West Africa region. Professionalism and good work are my credo. 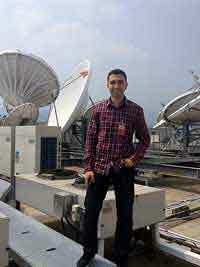 Graduated from Computer Science and working In the VSAT field since 2006 with the experience of installing most of the antennas types (1.2m, 2.4m, 3.7m, 3.8m and 4.5m) and dealing with iDirect Modems, Advantage SatNet Modems, PD25 Modems, Comtech Modems and SCPC links. Certified GVF Basic and Advanced. cabling, pointing and commissioning in Uganda, Rwanda and Burundi. Well versed with iDirect, Hughes, Comtech, Newtech, Janux modems, networking and network design. Wireless network professional. Certified OSWP-Offensive Security. 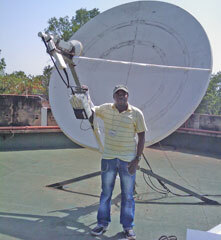 Qualified VSAT ground operator in Malawi, recognised and trained by Loral Skynet from the Netherlands. 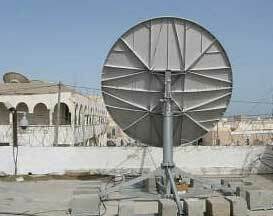 Under his company, Global Television, they have installed a number of VSAT satellite dishes for the government, NGOs and individuals. 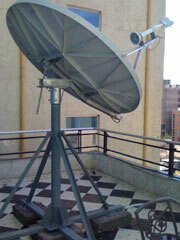 He is available to offer ground operations for any satellite service provider within the region. Certified GVF instructor in Africa. 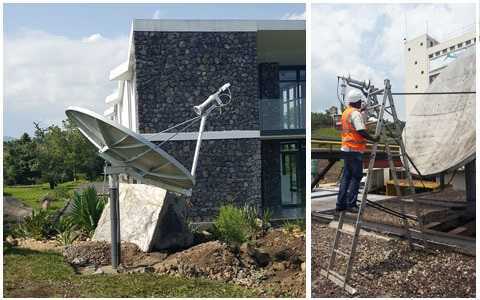 Apart from holding other accreditations in the VSAT field, the company have done several installations from Ka band systems to C band systems up to 9.3m antenna installations. 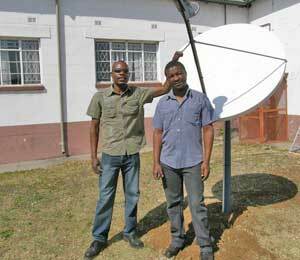 The co-founders of Amortech have been building VSAT networks throughout Africa since 2001. They design and provide high-end satellite data network solutions for corporate, banks and government organizations in 25 countries on the continent. They have also been involved in network integration, monitoring and security. Tel: +254 724 25 33 82. 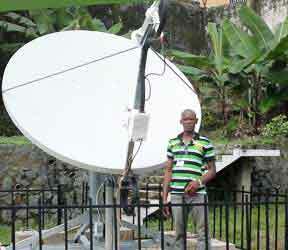 We perform VSAT installs and telecoms technical support within Gabon and the Cemac region. We are based in Libreville. We help with the design and implement of infrastructure for telecommunication networks, providing value added services to multinational companies, banks, oil companies and international organizations. Newly established company in Equatorial Guinea called GENETCOM S.L. (Guinea Ecuatorial Network y Comunicaci?n) whose purpose is to provide communication solutions to clients using the latest technology. 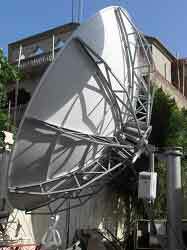 VSAT Systems with major operators, terrestrial radio systems (WiFi, WiMAX, microwave), cable networks and fibre optics. The company has experienced technicians, engineers, commercial and administrative staff. Able to do administrative tasks and licensing with Regulators Telecommunications Organisation (ORTEL). Contact: Zibhino Rodriguez Ango Sales Dept. CCNA certification in March 2010, Juniper Networking Fundamentals certification. GVF 510, GVF 520, GVF 521 (Satellite Networks) ID: 1792373. Maritime Networks design and installation (SpeedCast - HK). Hands on lab Training Maritime network installation (Abu Dhabi). CCNP, Windows Server 2003/2008/2012, Microsoft TMG 2010. Exchange Server 2010. MCSE 2003.
iDirect Modems (Evolution and Infinity series), Comtech, Hughes modems. SCPC and DVB. Intellian and Thrane&Thrane Maritime antennas 1M, 2.4M. 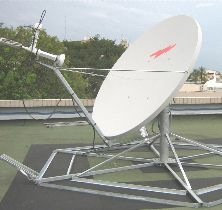 VSAT Hubs installation and configuration. Networking Design installation and implementation, Cisco IOS, Routers, Switches configuration and implementation. MS TMG server 2010 Implementation and VPN's, 3CX, Asterisk* IP Telephony systems. CCTV and surveillance systems, Linux OS and shell commands. Languages: English: Fluent Arabic: Mother tongue. Experiences with different GSM companies (HUAWEI, Millicom, Salam, Airtel in chad), UNICEF, Embassy office and local companies. Experiences in VSAT: Site Survey, installation, commissioning and decommissioning Relocation, Preventive and Corrective Maintenance. Knowledge with different product like: Comtech, iDirect, Datum system. 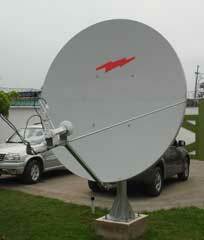 Familiar with Ku-Band and C-Band, 1.2m to 4.5m dishes. Anthony Ben: Botswana, South Africa, Namibia, Zambia and the whole of East Africa. I have been trained by Africa e-Development Resource Centre. I have done iDirect 5000, iDirectX3, Gilat Sky Edge, 360, Hughes HX50 modems. 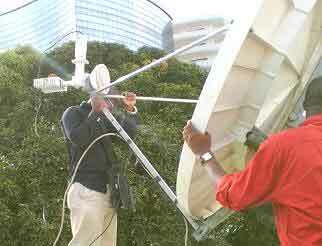 I have more than ten years experience in satellite antenna installations i.e C-Band, Ku-band and Ka-Band and also good understanding of satellite footprints for Africa. 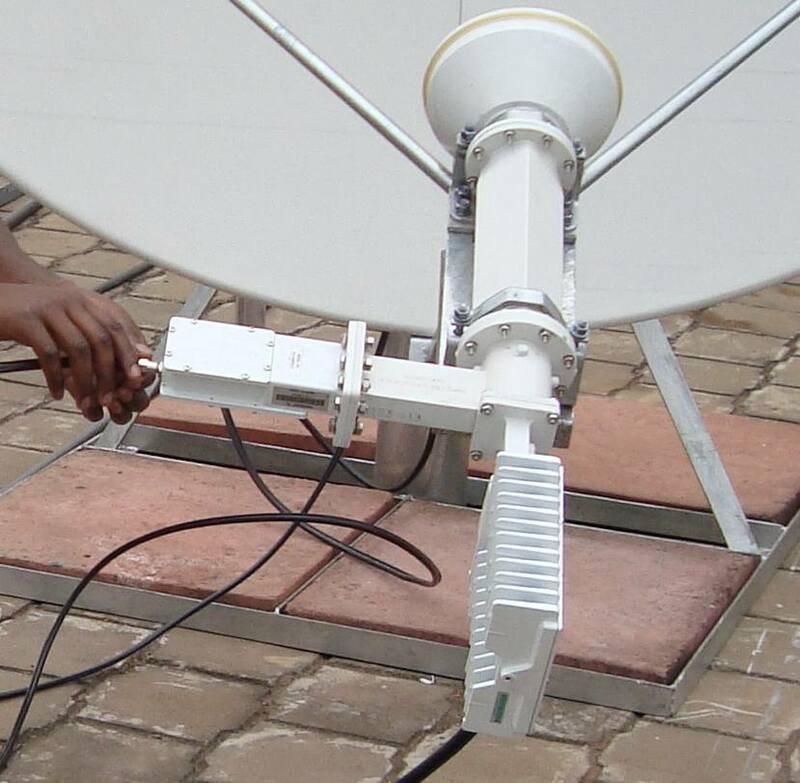 I am a qualified installer of VSAT throughout DRC and its neighbouring countries in the international private sector and NGOs in the C band and Ku band 1m, 1.2m, 1.8m and 2.4m. Antenna installs: Both remote VSATs and hubs, 1.2m - 6.3m (Andrew, Prodelin, Channel Master, Vertex, plus Tracking Systems, Ku and C band, linear, circular). Platforms: iDirect Infinity, iDirect Evolution X3, STM, Linkstar, Janux (DVB S and DVB S2, L band IF systems). 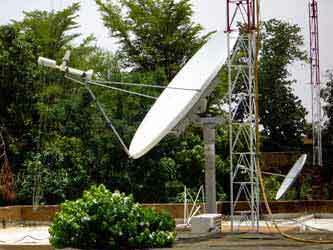 Satellites: Intelsat, NSS7, PanAmSat, Eutelsat, Astra, and Arabsat, Amos-5 covering West African Regions. End users include Mining, Embassy and Government. Experience includes microwave radios and antennas, Wimax CPE, NOC and customer support, fault diagnosis and repair. Qualifications: iDirect Operations and Maintenance (IOM2.0) and GVF certifications:510, 520, 521 and 530iDirect. 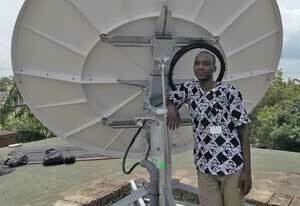 Samson M. Njoroge, VSAT engineer: Kenya, also Central, East and Horn of Africa. 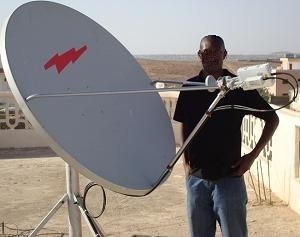 Samson Njoroge a qualified VSAT Engineer with a seven years experience in installations, diagnosis and hands on experience in VSAT in East, Central and Horn of Africa on both C and Ku-band installations in private and Government sector across the region. 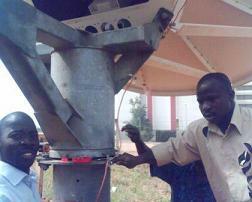 Professional Engineer and General Manager at Toujounine Earth Station Manager. 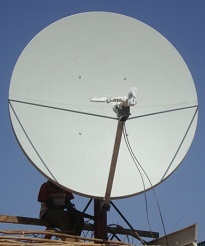 15years experience in both VSAT and large Intelsat and Arabsat earth stations. He has worked with Comtech, Raydyne, Advent, Nera, HNS and Codan satellite equipment plus terrestrial technologies. 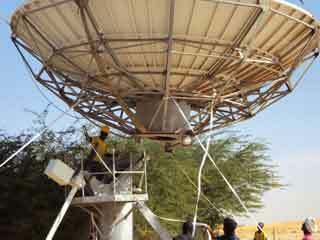 Involved in the planning and implementing Mauritania's national telecoms infrastructure, switching centres, cable and satellite. Engineering staff are available with experience of iDirect and Hughes modems, tracking and monitoring systems. Freddy Yenga, Kinshasa, DRC Congo. 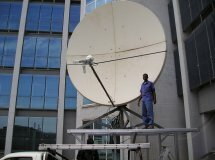 Il est installateur de VSAT a Niamey au Niger. Il a install? 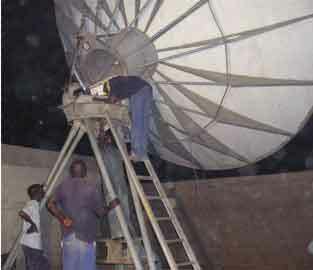 plus de 20 VSAT a travers le Niger. Il est egalement installateur de Wireless comme les Alvarion, RadWin, Alkon etc..
Internet par Satellite: Liptinfor distribue et installe des solutions VSAT en Bande Ku et C. Le VSAT est une station emittrice - receptrice de communication par satellite. Experience in Niamey, Maradi, Zinder, Konni, Dosso, Tahoua, Diffa, Agadez and Arlit. Vsat installer, Wi-Fi and Wimax Engineer, Cisco router and switch configuration. I have successifully carried out Vsat, Wi-Fi and Wimax projects for both government and private organizations, have experience for over four years in radio frequency and Information communication technology. I have worked with iDirect and Comtech Modems. I have assembled 1.2, 1.8 and 2.4 meter antenna installations (No auto-tracking). Specialist in Wi-Fi 802.11 equipments setup i.e 802.11b,802.11g,802.11n.Wimax products e.g Airspan and Alvarion. 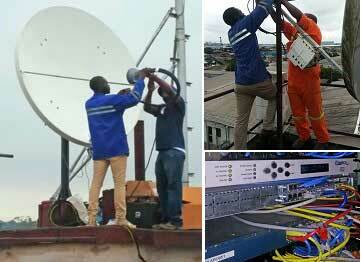 I am a Malawian VSAT installer, complete IT solution provider, trained by Logical Wireless Pty Limited of South Africa in VSATs, who has experience with iDirect modems, Ku-Band and C-Band, 1.2m, 1.8m, 2.4m and 3m dishes. My company is Rossal Technologies, Room 4 Adams Court, P.O. Box 380, Blantyre, MALAWI. 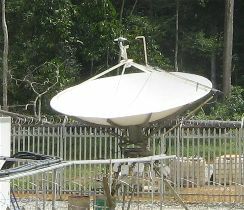 C band, circular polarisation VSAT terminal. VSAT engineer with experience in iDirect and Comtech Modems. Also, experience in 1.2, 1.8, 2.4, 3.7 meter antenna installation (No auto-tracking). Based in Ghana and willing to travel anywhere. 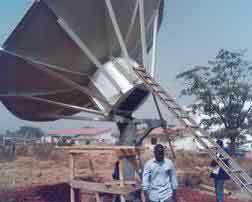 I am part of most of Satellite projects in Ghana such as. National Health Insurance, About 700 Apex sites. 80% percent of the banks in Ghana. 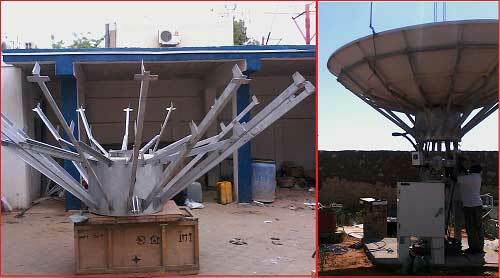 Under my leadership, as a Team Leader I installed about about 1,500 VSAT and RADIO links. 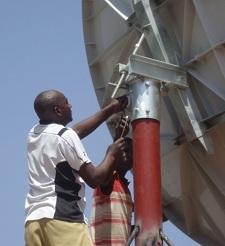 Emmanuel Macharia G: Africa VSAT installation ,Teleport Management Team based in East Africa and SUDAN. Installation of Satellite antennas ranging from 1 m to 9.3 m, Installation of Tracking antennas, Teleport engineering for SCPC / DVB links, Teleport engineering for VSAT HUBs: iDirect, Satpath Hughes., Installation and maintenance of any SCPC or shared system modems. Satellite Monitoring antennas. I have build up a team of professional engineers that work all around Africa. Over years we have perfected our RF experience and IP engineering. VSAT engineer with experience in iDirect and Comtech Modems. Also, experience in 1.2, 1.8, 2.4, 3.7, 4.5 meter antenna installation (No auto-tracking). Based in Cairo, Egypt and willing to travel anywhere. Professional experience in Satellite, Telecoms and IT systems. 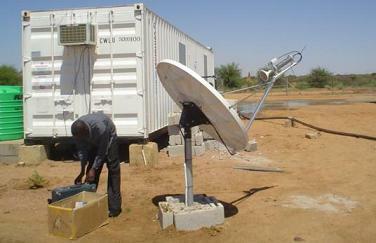 Managed projects involving satellite systems in Central and Eastern Africa, including Mozambique. 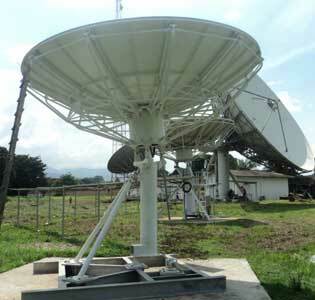 Survey work, planning, scheduling and doing installation, maintenance and support of VSAT. 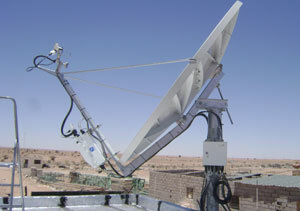 Ku and C-band. 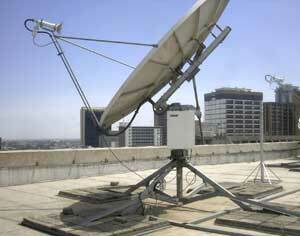 More details: VSAT Kenya. Working with Gateway Communication formerly G S Telecom and now Vodacom Business Africa. 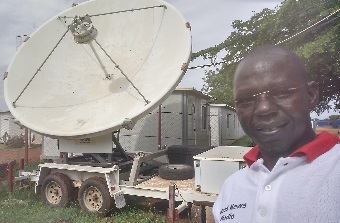 He has done countless VSAT and Radio (Point - to - point, Point - to Multipoint) installations and maintenance in Sierra Leone, Liberia, Guinea, Gambia, Senegal and Ivory Coast for different organisations. 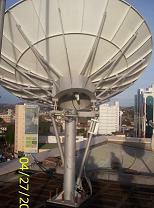 I live at Dakar in Senegal and have more than 25 years of experience in the satellite communications. I have installed VSATs in Senegal and the region of west Africa. For installation work in Senegal, Mali, Gambie, Mauritanie, Guinee Conakry, Guinee Bissau please contact me. Tchad pour les T?l?coms et la Technologie (TTT) is a company based in Tchad. 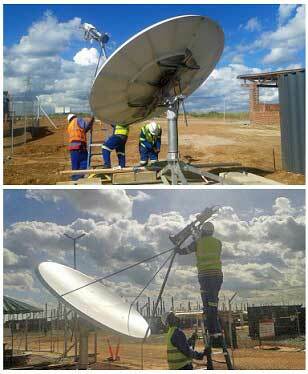 Over 4 years experience in VSAT installation, maintenance, infrastructure and telecommunication. 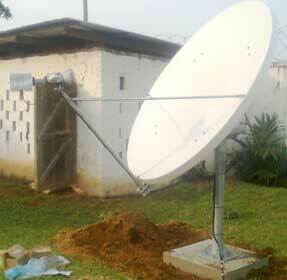 Bathaba NDIYOI : VSAT installer. Zambia / Zimbabwe. Implemented the interconnection of regional British Council offices to UK head office via VSAT for Data services in Harare, Zimbabwe and Lusaka, Zambia. 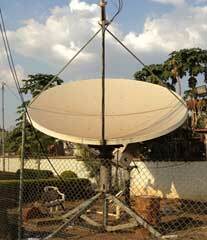 Comprehensive 3 town VSAT Site Survey for FHI (Family Health International) in Lusaka, Kabwe and Ndola. Surveyed, installed and commissioned a site for Dodge Phelps Company in Luanshya (Copper mining town), Zambia. 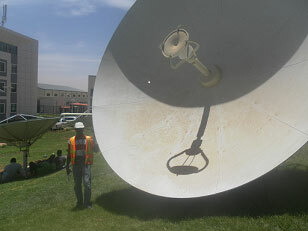 See picture of 2.4m dish, C-band, iDirect Network. Responsible for annual maintenance and 24/7 call out for all sites. More details. 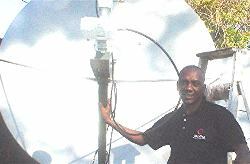 Fredrick Kioko Kavali - installer based in Kenya. I have done so many installations in Africa starting from Kenya; Rwanda, Ghana, Sudan, Egypt, Ivory coast, Zambia, Ethiopia, DRC Congo and many more other countries. 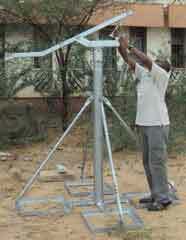 I have a wealth of experience in installing earth stations ranging from 1.2m to 7.3m antennas. I am also a certified VSAT instructor for the GVF and have conducted several trainings in Africa for NGOs, private companies and on individual basis. Complete communications solution for clients. 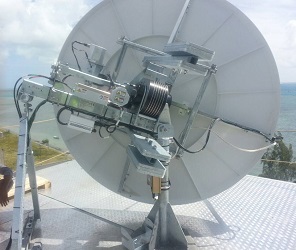 VSAT plus WiMAX, UHF/VHF, multimode optic fiber for interconnection of buildings. 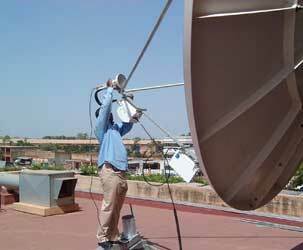 Over 3 years experience as an RF technician and VSAT installer. Antennas: 1.2m, 1.8m, 2.4m and 3.8m diameter. C band and Ku band. iDirect, Hughes and Comtech modems. Team available for larger projects. 18 years extensive experience in global Telecommunications. Technical Management, team leadership, system design, planning, installation, maintenance and support skills. Experience with VSAT, Maritime Mobile, Oil platforms. GS Telecom Angola Lda.. Schlumberger NIS, Angola, Data Marine Systems Ltd.
LOGISTICA COMMUNICATION SERVICES LLC employs at total of 235 engineers on contract worldwide, with emphasis on Africa and particularly Nigeria where they currently have 19 engineers and 3 managers. LOGCS carries out VSAT Installation and Maintenance Services for many companies, including NATO, UNITED NATIONS, UNHCR, WHO, US EMBASSIES, FINNISH EMBASSIES and WORLD BANK. In some countries they can help with licenses, space segment and equipment. 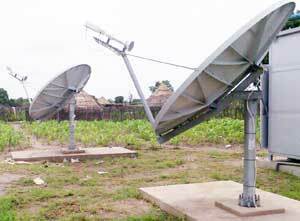 They have done satellite antenna installations in over 100 countries including Ghana, Mali, Sierra Leone, Tanzania and Madagascar. 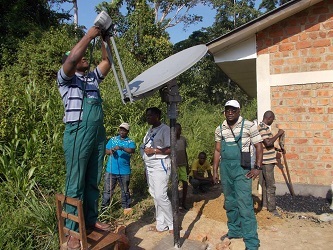 Most of LOGCS's work is carried out on small VSATs from 1.2m to 4.6m, but they also have engineers that are trained to install the larger earth stations from 7m to 16m. He has more than 12 Years experience in IT, Telecommunications and VSAT. Specialist in Networking, Infrastructure and telecommunications networks. Project Management and people management experience. 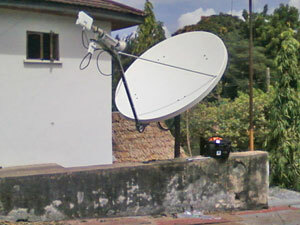 Internet VSAT installation, VSAT Gateway link Operation and Maintenance, Wireless network implementation for Ecobank, Esso, WFP, Ceragon WLL and Cisco Aironet, Optic Fiber, Billing Platform from Ericsson for Prepaid and Homisco for Postpaid, Mobile Internet, SMS, MMS, Roaming, GPRS & Edge and Blackberry implementation. Operation and management of many VSAT networks for Banks and other enterprises. Engineer in Electronics, MBA (Experienced IT and Telecommunications). CV available. 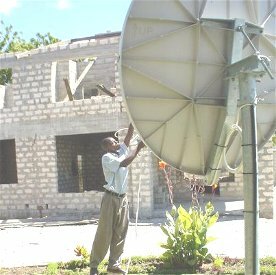 Experienced VSAT installer with CCDA and CCNA knowledge, accepting short/long term missions in Burkina Faso or any country in africa. 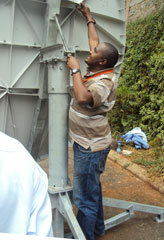 Richard is a Certified VSAT Engineer based in Kenya. He has carried out installations for the last 6 years in Kenya and also other countries in Africa, including Sudan, Uganda, Zambia, Malawi. 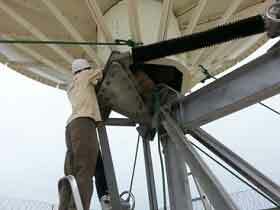 He has experience on C-band and Ku-band with antenna sizes 1.2m,1.8m, 3.7m and 7.3m diameter. Modems worked with include Dialway, 360 (Gilat products), DVB, iDirect, Paradise and Comtech. He also offers VOIP services and solutions for making international calls at affordable rates. Engineer Bruk Getache: Site survey, install, commissioning and maintenance of VSATs in Ethiopia and many other African countries. Based in Ethiopia (Addis Ababa), he is fully equipped with all necessary test and measuring equipments. Representing MCI (US telecom) for 5 years in Eastern Africa region. More than 30 VSATs installs, for the World Bank, Standard Chartered Bank, COMESA and EU in the whole of Africa, such as Kenya, Nigeria, Uganda, Tanzania, Cameroon, Chad, Djibouti, Botswana, Zambia, Rwanda and including Ethiopia. Technologies: ViaSat, Hughes and iDirect equipments, Cisco routers etc. GVF certified. 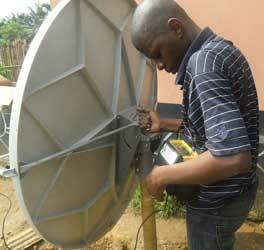 Adewale Abiodun is a certified VSAT installer, with over 7 years of experience. He has deployed and installed broadband and VSAT equipments for private companies, multinationals and government bodies in Nigeria, Ghana and some other parts of West Africa such as Togo and the republic of Benin. 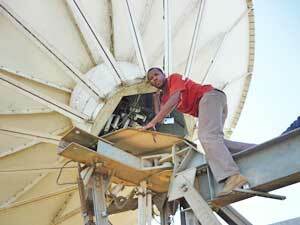 Over the years, He has installed all kinds of VSAT which includes 1.2m,1.8m,2.4m and 3.8mtrs. He has ground knowledge with proven track record on configurations and installations of modems such as Com tech, Ipsat, Idirect, Linkstar, Hughes, direcway, datum, RG modems, Cisco Routers and a host of others. As shown, the polarisation is Horizontal receive and Vertical transmit. The polarisation adjustment angle has not yet been applied. 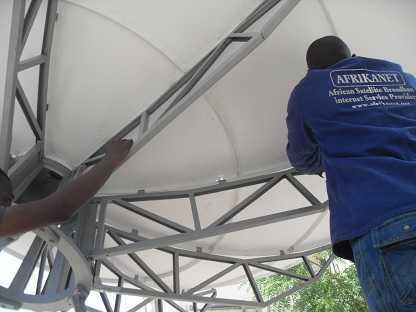 Acel International (Acel) provides "on the ground" value-added VSAT installation, maintenance and support services to companies throughout Africa. By being on the ground when you need them, their qualified engineers save you both valuable time and money. Acel is a solution to outsourcing your installation and maintenance needs. 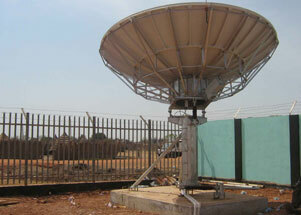 They help by reducing delivery time and costs by shipping VSAT equipment directly from their warehouse in Ghana. 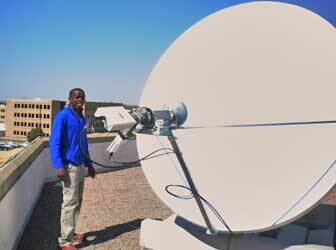 Jeffrey Mbeha is a VSAT installer in Namibia, and can install any type of VSAT from 1.2m to 3.7m. 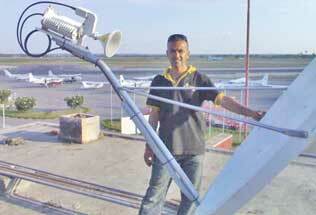 He has worked with Andrews, Prodelin, Channel Master, Ellies and many types of antennas. He can install modems: Dialaw@y, Faraway (both Gilat products), iDirect VSATs, Comtech 600 and 600L Modems, Fairchild, Paradise, NEC modems, etc. 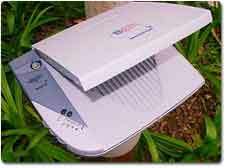 Installation and maintenance of any SCPC or shared system modems. Installed many types of VSATs on many different satellites over a period of 8 years around the country of Namibia, in both C and Ku Band frequencies. 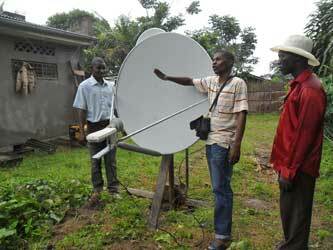 VSAT installer from Kampala, Uganda, covering all of East and Central Africa region. 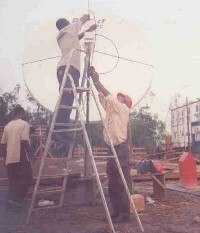 Three 3.8m dish installations illustrated. I am a Kenyan citizen and based in Kenya. 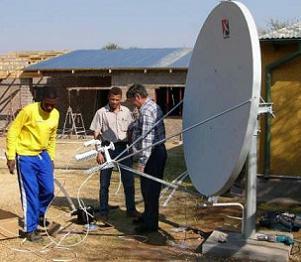 I have a wide range of experience in VSAT installation having installed VSATs all over Africa. I have deal with various size of antennae from 1.2m - 5.8m Ku & C band. 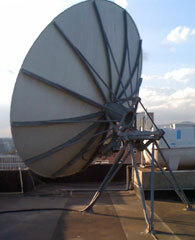 I have dealt with various VSAT product from iDirect, Comtech, DMD20, Comstream, LinkStar & many others. A good example of C-band VSAT dish using circular polarisation. Click image for a larger detailed image of the feed assembly. 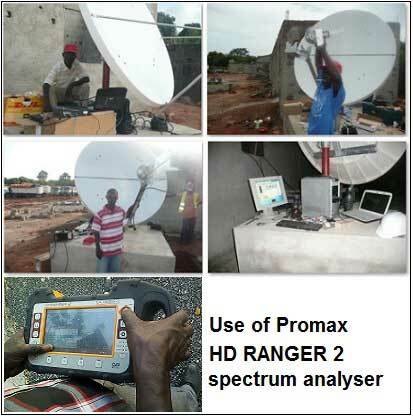 VSAT installers and maintenance - Nigeria. We have done jobs all over Nigeria, and even on the West African coast. 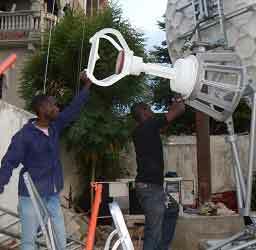 3R Technologies provides turnkey broadband satellite installation services. No matter what the size ( 4.9m, 2.4m, 1.8m, and 1.2m antennas ) or location of your network, 3R's professionals can install your new system, Satellite installation services include both C-Band and Ku-Band. 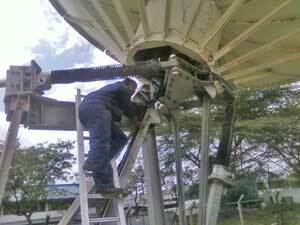 VSAT installer, technician and maintenance - Kenya. Based in Kenya, he has done work also in Uganda, Tanzania, Rwanda, Burundi, Ethiopia, Zanzibar. Management of 4.7m Andrew VSAT equipment and iDirect hub at Network Control Center (NCC) for voice , data and video communication. 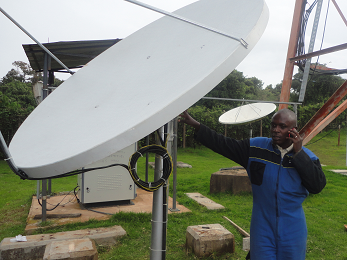 Ben lives in Kenya and has been working with Alldean Satellite Networks [k] ltd as a VSAT installer and technician. He has installed and has a wide experience with a variety of satellite modems, including indoor units - Dialway, 360, Faraway, Comstream, iDirect. Dish experience includes both Ku band and C band. Experienced in computer networking, software installation and maintenance of PC's, fax and phones. Plus experience with HF communication system and marine surveillance radars. 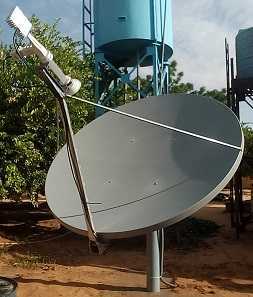 VSAT installations in remote areas in eastern Africa. 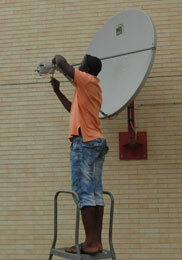 Anthony Glass, chairman of Satellite Communication CC, is able to offer VSAT installation service in Africa. Services using smaller hand portable equipment include VoIP via a USB-based handset operating in conjunction with an Inmarsat BGAN satellite modem to provide Internet and VoIP access at speeds of up to 144 kbps. This is is sufficient bit rate for VoIP, email, web browsing, instant messaging, FTP, video/audio/text streaming, secure access through VPN or SSH, image/video transfer via any IP-enabled digital camera software and enables sharing of all kinds of data files. Nimrod Kapon - Sierra Leone, Liberia, Nigeria, Cameroon and Angola. 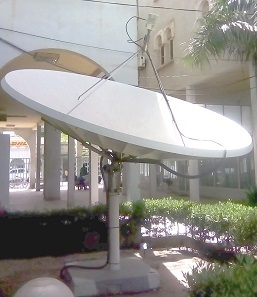 Nimrod is located in Israel but offers all kinds of service in the satellite telecom world. Mainly in Africa, he has several trained installers in different countries: Sierra Leone, Liberia, Nigeria, Cameroon and Angola. He has contact with trained installers elsewhere as well. He is keen to expanding his network and is looking both for more installers and customers. My name is John Mutinda, a Kenyan citizen. 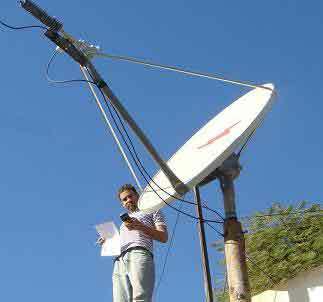 I have been carrying out installations of satellite internet VSAT under a company know as Alldean Satellite Networks Ltd in Kenya. Have been doing the installations all over the my country and even outside a country like in Southern Sudan. I have an experience on C-band and Ku-band beams of the different satellites. I have been using different kinds of satellite internet Modems (indoor unit) like Comtech EF data ( CDM-570L), 360E and Dial-away. 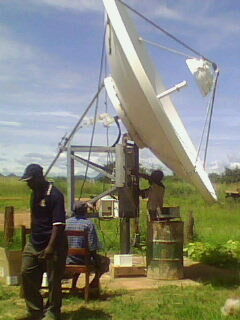 I have been installing different sizes of the antennas, all over the country, with different satellites beams. 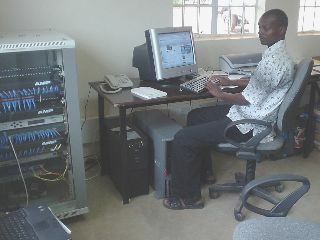 I am now working with a company in Southern Sudan as a Network Administrator since January. I'm looking forward for your commends as been one of your installers. 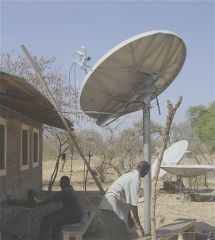 VSAT installation near the Nuba Mountains, Kenya, Africa. 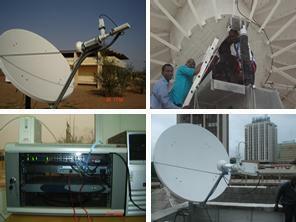 Based in Sudan has has done many installations and is ready to do so in any part of the world. They have done jobs all over Sudan plus Addis Ababa in Ethiopia. No matter what the size ( 4.9m, 2.4m, 1.8m, and 1.2m antennas ) or location of your network, NetvSat Communications can install your new system. 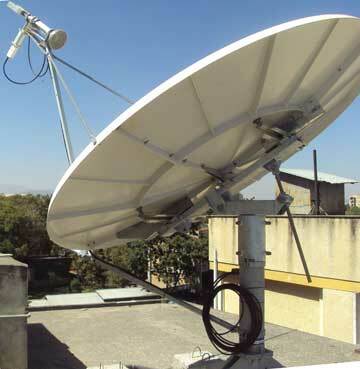 Satellite installation services include both C-Band and Ku-Band. 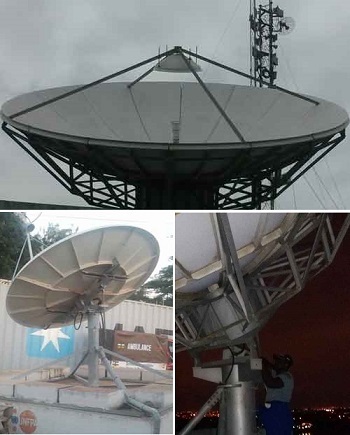 Maintenance and Repair, Antenna System Preventive Maintenance, Equipment Sales and Value added services, Different kind of links (DVB-RCS, SCPC) More details and picture of work done. 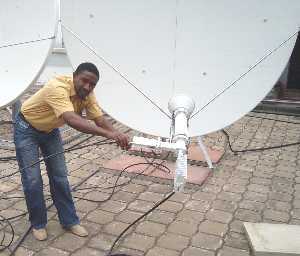 VSAT installer, based in Nigeria with Oil Industry ( BGP ) experience. 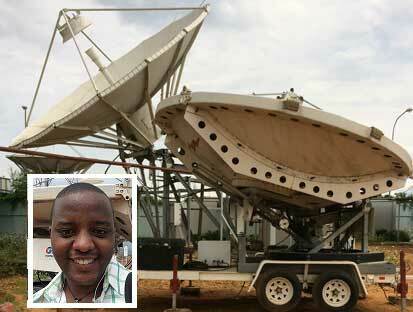 He has undertaken a number of VSAT Projects in Northern, Eastern and Southern Africa. 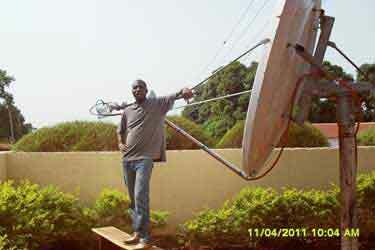 Contact details: Olanrewaju Ore, KKON Technologies Ltd.
Kalwani Kalwani: Installer of VSAT and network equipment in Zambia. 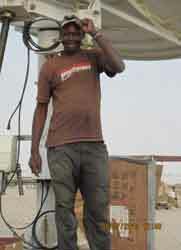 Very experienced VSAT and IT networking engineer, with University Diploma in Telecommunications, Membership of Professional Bodies: IEEE, Global VSAT Forum (GVF), Member of VSAT Installers in Africa and Computer Society of Zambia. 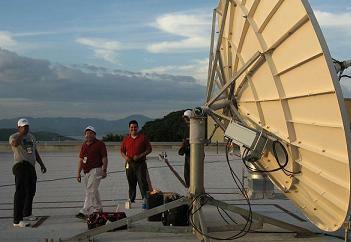 International VSAT installation certification. 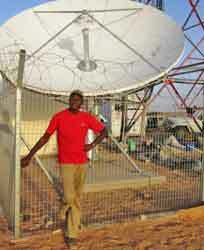 Read his full CV, plus images of some VSAT installations. Installation for Zambia Revenue Authority. 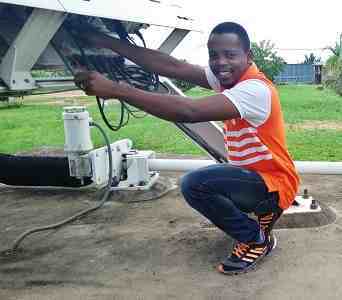 Ike Charles Ebere is a VSAT installer in Nigeria, and can install any type of VSAT from 1.2m to 3.7m. He has worked with Andrews, Prodelin, Channel Master, Ellies and many types of antennas. He can install modems: Shiron & all Gilat products, iDirect VSATs, NEC modems, etc. He has all tools required to lock any site. Installed many types of VSATs on many different satellites such as LMI , Intelsat 801, 901 , 907, 802 etc in both C and Ku Band frequencies. Areas of work include Tunisia, North Africa, offshore maritime in Mediterranean sea and in the adjacent countries, Algeria and in Libya. EasyCom have installed more than 500 1.2m VSAT links, and have specialised experience in SCPC links with Comtech modem solutions. EasyCom Comtech CDM570 modems for business/corporate application. 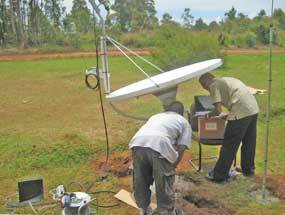 Installation of VSATs in all parts of Tanzania. 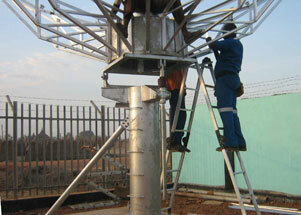 We have a team with vast experience in RF Engineering working in the region. There is no charge to have your details added above.